Display your personal recognition and rewards program from Bonusly publicly on your digital signage screens. 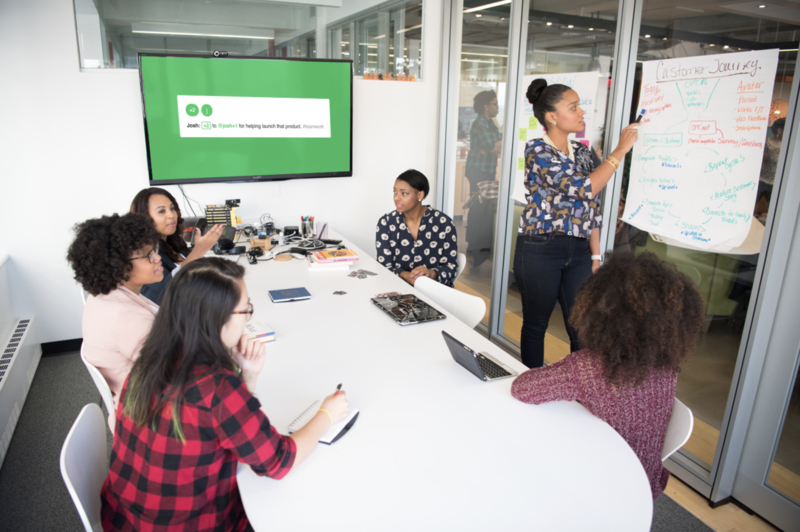 Bonusly is a fun, personal recognition and rewards program that enriches your company culture and improves employee engagement. 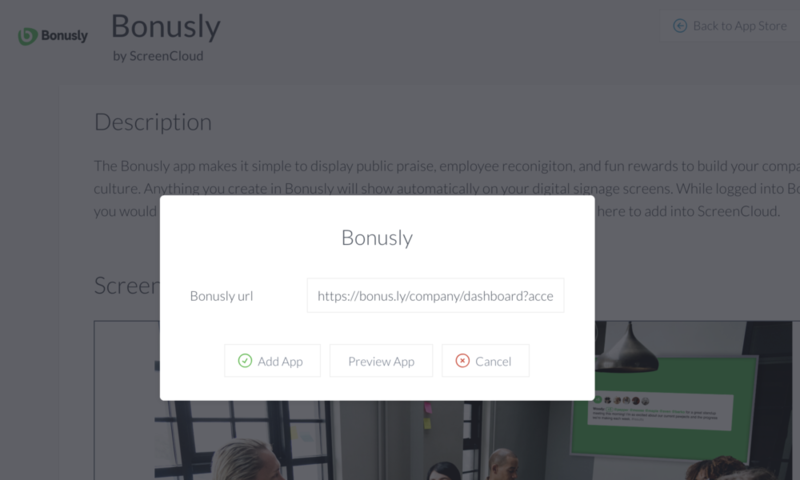 With Bonusly everyone in your organization can publicly recognize each other by giving small bonuses that add up to meaningful rewards. If you’re looking for a simple way to display Bonusly points and prizes the ScreenCloud Bonusly app is the perfect fit. 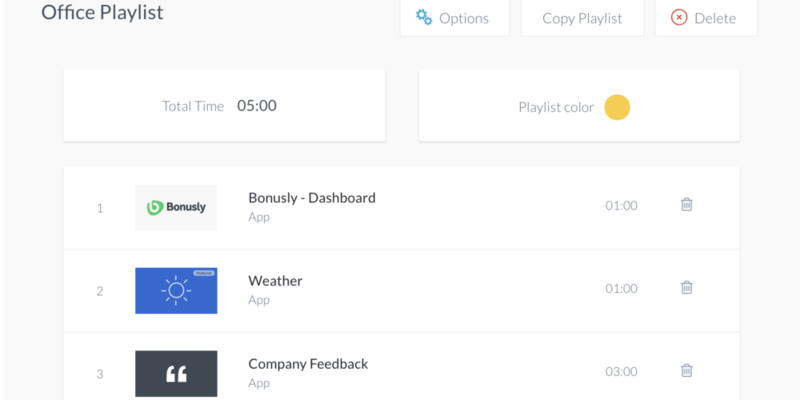 Copy any URL from a dashboard created in Bonusly and share it on your digital screens. 1.1. Get started by clicking here and selecting “Get App”. This will prompt you to either log into your existing ScreenCloud account, or sign up for our 14-day free trial in order to use the Bonusly app and other available apps within our App Store. 1.2. Once you’ve logged in, you can select “Add this app” from the top right-hand corner. Next, you’ll need to copy and paste a dashboard URL from Bonusly. Here’s how to find your dashboard URL. Please note: Bonusly is separate from ScreenCloud and is a third-party service. You can learn more about their pricing by clicking here. 2.1. Log into your Bonusly account. 2.2. Click on “Integrations” in the left-hand menu, then click on “Dashboard”. 2.3. Highlight the entire dashboard URL, right-click and copy the link. 2.4. 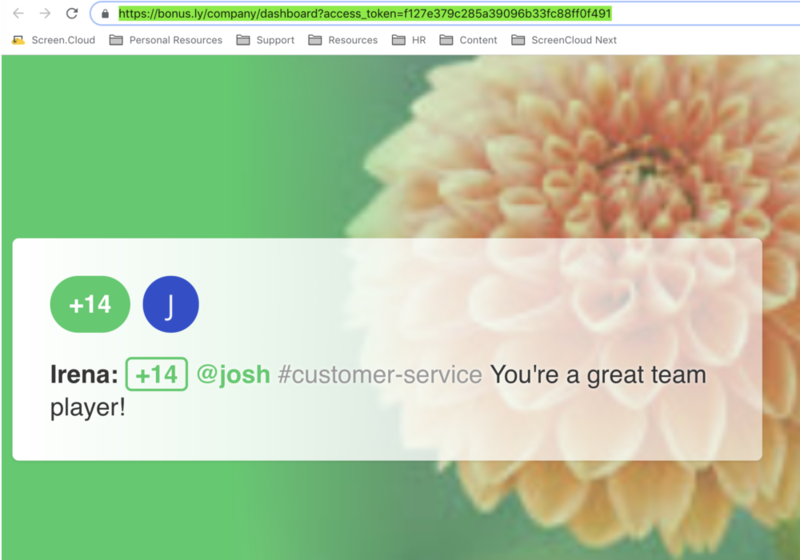 Paste the full dashboard URL into the Bonusly app on ScreenCloud signage. 3.1. 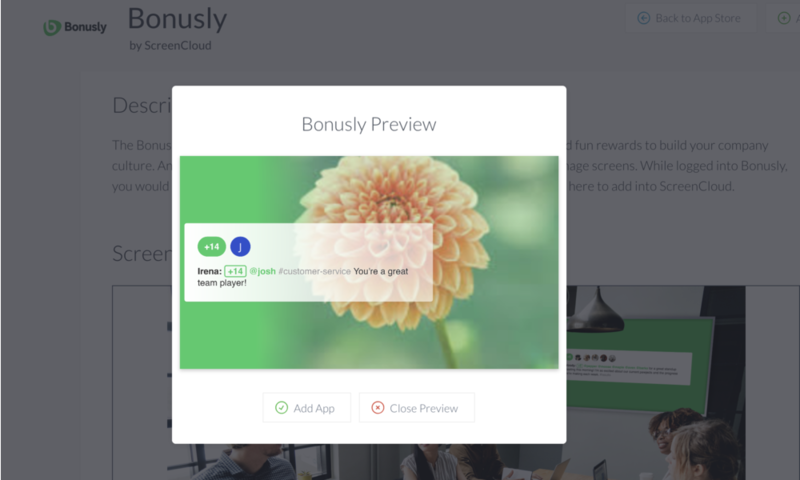 To preview your Bonusly app, select “Preview App”. This will open a new window where you can see what your Bonusly app will look like on screen. 3.2. If you need to make any changes click “Close Preview”. Once you’ve made any further changes, click “Save Changes” and return to open the preview. 4.1. Once you’re happy with your settings, click “Add App” and give your Bonusly app a name. This will help you to spot it later in your content library, particularly if you’re planning to use more than one Bonusly app within your playlist. 4.2. 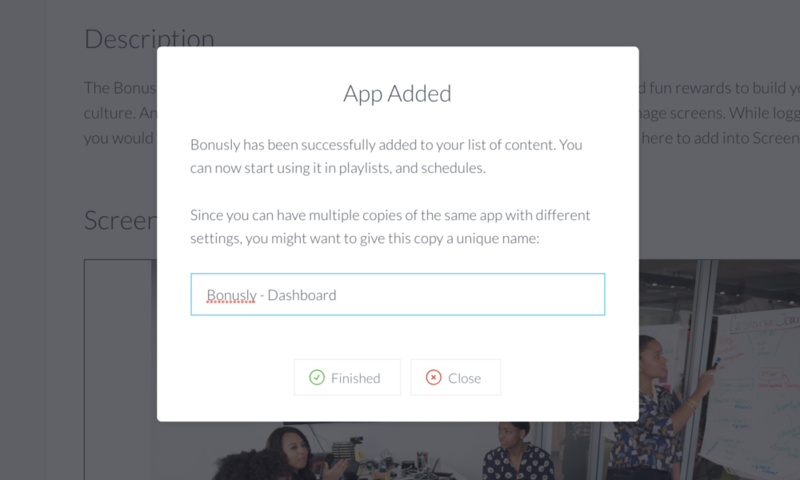 Select “Finished” and your Bonusly app will now be listed within your Content Library. Please note, if you want to edit your Bonusly app at any time, you can simply hover over the app in the content library and choose “Edit This App”. 4.3. Next, select the playlist you wish to add this to and drag and drop the Bonusly app from the right-hand side to the playlist of your choosing. 4.4. Here, you can also change the duration that your Bonusly app is shown for, currently set as 1:00 for one minute. Can I use multiple dashboards with the Bonusly app? Currently, the app can only use one dashboard URL per instance. You can add multiple instances of the app and use different URLs to display new dashboards you’ve created in Bonusly. For further questions, please contact support@screen.cloud with details.